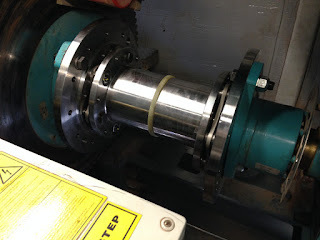 While misalignment handling is often the primary focus for selecting a coupling, electrical isolation or insulation is often another important consideration or objective... as voltage differentials between shaft ends (potentially introduced by an electric motor without a grounding brush) can lead to premature bearing and system wear. To varying degrees, many elastomeric coupling designs (i.e. - Lovejoy's S-Flex line) are, by design, inherently insulated... as rubber, urethane, or another non-conductive flexible element physically separates the two metallic shafts. Other primarily all metallic coupling designs (i.e. - Lovejoy's ATEX Certified Disc line) are inherently not insulated. 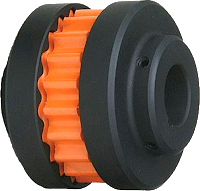 These type couplings offer a continuous electrically conductive pathway through the length of the coupling. Lastly, there are a subset of coupling types that, while not perfect conductors, are also not robustly insulated. These couplings would include lubricated metallic couplings (i.e.- Lovejoy's Gear and Grid lines). For the latter two groups (highly conductive and semi-conductive), modified coupling solutions are available for applications where users require a non-conductive coupling design. The primary two ways conductive coupling types become insulated is by either incorporating an insulated disc with insulated bushings for the bolts, or by integrated an insulated spacer into the design. Note: When asking a manufacturer to modify a traditionally conductive coupling into an isolated design, it is important to ask them if and how the changes will impact the performance and ratings of the coupling (as it may change from catalog ratings). Should you have further questions on electrically insulated couplings and/or require an insulated coupling solution, please do not hesitate to contact Lovejoy and request to speak with an application engineer.